Among the different types of fad diets that people follow, gluten-free diet has become a rage. Originally gluten-free diet was recommended for people suffering from celiac diseases- an autoimmune disorder that affects the intestinal tract. Gluten-free diets, however, also has a lot of benefits for people who don’t suffer from Celiac disease. In this blog, we discuss in detail about gluten-free diet and its health benefits. Gluten is a kind of protein found in wheat, barley or rye. If you suffer from gluten disorder, it is necessary to eliminate bread, rotis, pasta and baked foods from your diet. Even if you don’t suffer from gluten allergy, there are many advantages of switching to gluten-free diet. 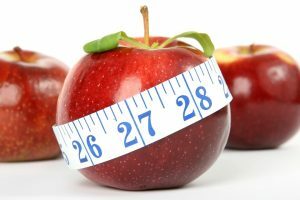 The diet helps you stay away from processed foods and reduce calories. Eating clean and using fresh ingredients can make a lot of difference to your health. However, don’t rely on the gluten-free foods available in the supermarkets. You can easily prepare gluten-free bread or rotis using KENT Atta and Bread Maker. Considering the increasing health problems, it is time to shift to gluten-free foods. Here are some reasons you need to go gluten-free. The small intestine plays an important role in the digestion process. Most of the essential nutrients present in food are absorbed by the small intestine. Going gluten-free improves the digestion by improving the villi (small finger-like projections in the intestine) and helps in absorbing the essential nutrients that you eat. Wheat, rye, barley and many other packed foods contain gluten. Switching to gluten-free diet ensures that you avoid these processed and unhealthy food items that increase your weight. Gluten-free food options remove excess starch from food items, thereby helping you lose your extra kilos. Gluten-free food items also prevent inflammation of the tissues in the small intestine. These food items also prevent the immediate symptoms of Celiac disease such as vomiting and diarrhea. This also reduces bloating and cramping, which is a common problem as you avoid eating fatty foods. The essential nutrients that you eat may be lost when you eat foods with gluten. You may also lack some of the essential nutrients that boost your energy levels. Cutting down foods laden with gluten will boost your energy by absorbing the essential nutrients. A healthy gut is a key to your overall health, which is the reason why you need to ensure that it stays in good shape. Though switching to a gluten-free diet is beneficial for health, make sure that you consult your doctor to avoid any complications. People who suffer from celiac disease or wheat allergy need to switch to a gluten-free diet. Switch to quinoa, buckwheat, gluten-free flours such as rice, soy, or corn instead of eating gluten-laden foods. 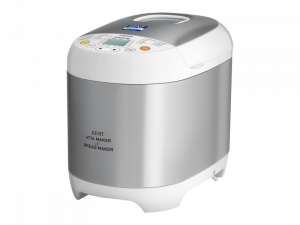 With the help of KENT Atta and Bread Maker, you can easily prepare gluten-free atta dough or bake gluten-free bread. Click here to find out more about KENT Atta and Bread Maker.